During a tough time, a beautiful tower filled with sweet treats is sure to be welcome. 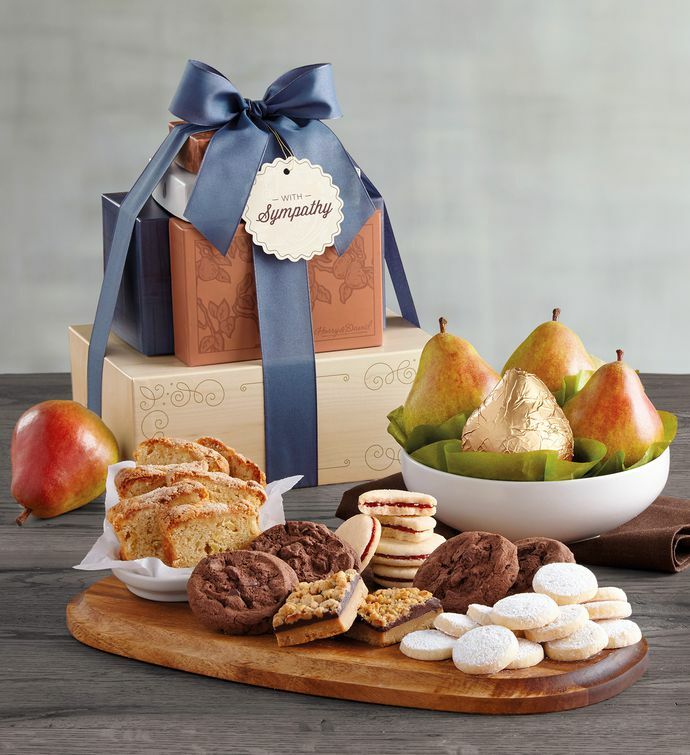 This tower arrives brimming with juicy Royal Verano® Pears from our orchards, along with a host of heartwarming treats crafted in our bakery, including delectable apple loaf cake and irresistible cookies all made with the finest ingredients. We top the tower with a hand-tied bow and include a thoughtful "With Sympathy" tag.